What are the dangers of encysted small redworm? How much do you know about the dangers of encysted small redworm? Watch this video to find out why encysted small redworm are a serious health threat to your horse. Be prepared to clear the challenge of encysted small redworms and “Time it Right” this autumn/winter. Wendy graduated from Bristol University in 1999. She then went on to complete a residency at Liverpool University and holds a European Diploma in Equine Internal Medicine. After working in practice for 13 years, she joined Zoetis in 2012 as the National Equine Veterinary Manager. 21st Century worm control – are you getting it right? Bots are the larvae of the Bot Fly (Gasterophilus spp.). The bot fly larvae are approximately 2cm long and reddish/orange in colour. Following on from our recent new series of articles on worming and the different types of worm that can affect our animals, we have received the following important information from Zoetis, the makers of Equest and Pramox. Equine Worm control is essential for good horse health, but it is important to consider all the factors involved when you plan your worm control strategy. A ‘one size fits all’ solution can never be ideal. We need to manage the worm burden in every horse differently because they are individuals and every situation is unique. It is also important for us to use wormers responsibly. If we use wormers too frequently or unnecessarily, we could eventually reduce their effectiveness in controlling parasites (known as resistance). This is why the experts advocate more sustainable worm control, using a targeted approach to tackle a specific worm burden at any given point, rather than the old-fashioned ‘catch all’ method of routine worming every horse every 6-13 weeks. Reducing the number of worms on the pasture will help to keep the re-infection challenge to a minimum. This in turn reduces our reliance on wormers, slowing the drive for wormer resistance. 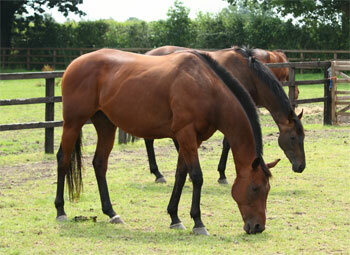 Regular faecal worm egg counts play a major role in allowing you to target your worming treatment effectively. 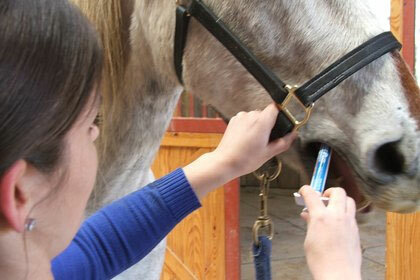 They can also be used to check that your existing worming programme is working. A thorough history of your horse’s health and worming regime, together with an assessment of his living environment and field companions, will help you to build the best possible worming programme. When you have identified that a wormer is needed you should always select the one most appropriate for the parasite you are targeting. You must also make sure you treat your horse accurately according to weight. This will help to maintain the effectiveness of the wormers currently available to us. A new horse can bring any number of infections into your yard – including worms. It’s up to you as his owner to think about your new horse’s welfare, the other horses on the yard and how to reduce the potential risks with worming. A new horse could bring high levels of worms with them, with the added issue that these may be worms that are resistant to one or more of the worming treatments currently available. This means they may be tougher to get rid of and they could cause ongoing problems for the entire yard! Unless you have a very clear and trustworthy history of worming for your new horse, it is always best to err on the side of caution. Treating soon after arrival with a wormer that is licensed to control benzimidazole resistant worms and one that will kill all stages of worm in the horse is advisable in most situations – tapeworm should also be included for the same reasons. This will ensure that your new horse is as worm free as possible and reduces the risk of bringing resistant worms onto the yard. It also means that the horse can be quickly integrated into the yard’s worm management system – which is hopefully a balanced approach with pasture management and testing aligned with strategic treatments. The other thing to consider is that it can be useful to have your new horse tested to assess their current worm burden before any treatment. 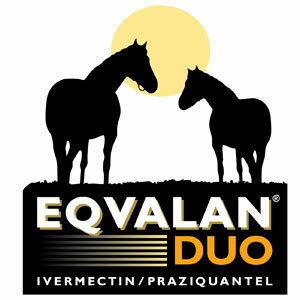 A faecal worm egg count (FWEC) will give you an indication of the adult redworm and roundworm parasites in your horse by measuring the number of worm eggs in a dung sample, reported as eggs per gram (epg). With a new horse it may not change the decision as to whether to worm or not, but it does start to build a picture of the worm burden that they carry and how their worming regime can be best integrated onto the yard’s general worm management. Viable eggs may continue to be passed in the faeces for around a couple of days after you have wormed your new horse so it’s important that you keep them off pasture for this period (~48hrs) to avoid the contamination of your grazing. Even if they are going to be out on their own, it is still worthwhile to keep them off the field as they will still shed worm eggs onto the pasture and may re-infect themselves when the worm larvae have matured. Once your new horse has been integrated into your worming programme with the other horses on the yard, the importance of ongoing pasture management should never be under-estimated – it is inexorably linked to worm control strategy. Low stocking densities, the daily collection of droppings, the grazing of other stock such as sheep or cattle on the land and the rotation and resting of pasture will reduce contamination and the exposure of the horses to infective larvae. Clearly a good worm control strategy will also result in less pasture contamination. In addition, an FWEC from your new horse 6-13 weeks post arrival (depending on the wormer used) will be a useful guide as to how they are coping initially with their new environment and the worm challenge. The other thing to remember is that a new horse will always change the dynamic in the yard, whether with field pecking order or worm control! The new horse may well shed more over the first few months and they may cause horses that have previously coped well on the yard, to pick up an increasing burden and need treating more frequently. Last spring Merial simplified the SMART worming message by introducing the SMART Rules, four simple rules to help horse owners plan an effective worming programme. In the second of these rules Merial takes a closer look to help you explain why refugia is so important. In general, owners of horses have a tendency to hate the thought of their horses harbouring worms, but research has shown that actually allowing their horses to keep worms at a low level count within their system can actually be beneficial. These worms are known as ‘refugia’ and keeping a low population of treatment- resistant worms in the horses system, helps to dilute the number of treatment-resistant worms that are developing. Worming too frequently will deplete the number of treatment- sensitive worms, leaving only resistant worms in the gut which cannot be eradicated with wormers. Refugia is the population of worms not exposed to wormer treatment so includes the parasites in untreated horses and on the pasture. They pose little threat in small numbers, but serve to dilute the population of treatment-resistant worms. When the treatment-resistant worms breed, they pass on their resistance genes to the next generation. Keeping a population of worms in refugia, however, means that it is not only the resistant worms that breed. In this way the worm population always has a good proportion of treatment-sensitive worms, and worming treatments can continue to be effective now and in the future. One of the best ways to maintain refugia is to use faecal worm egg counts to find out whether the horse really requires worming. We already have clients that currently practice this and they have already been advised that if their horse has a result of less than 200 eggs per gram (epg) they should not worm. This is because a low level of worms is not harmful and actually helps to maintain refugia. For more information on this or any other aspect of worming and worm counts give us a call.